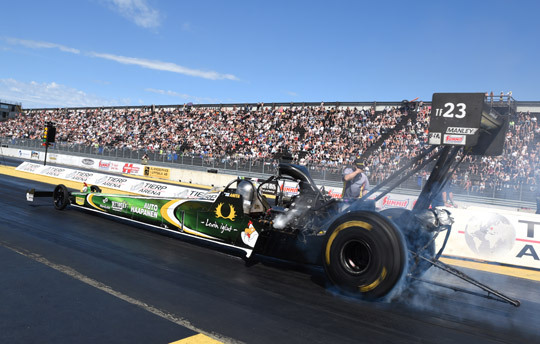 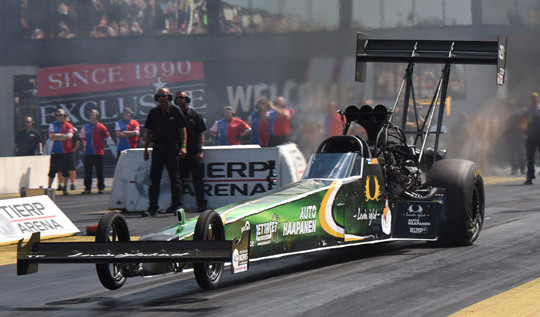 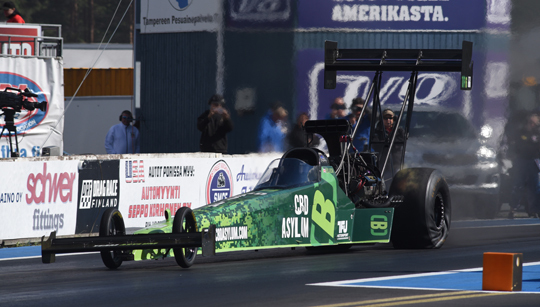 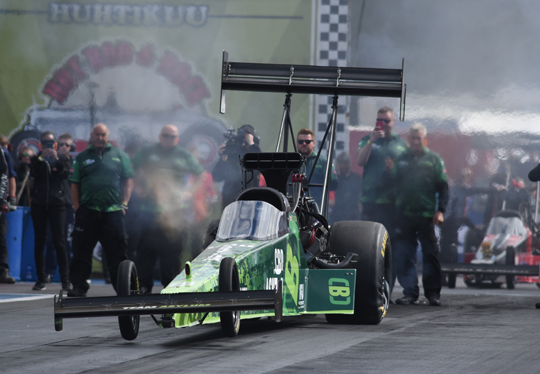 Liam Jones raced to the provisional number one qualifying position in Top Fuel at the first day of qualifying for the FHRA Nitro Nationals, round three of the FIA European Drag Racing Championship at Alastaro, Finland. 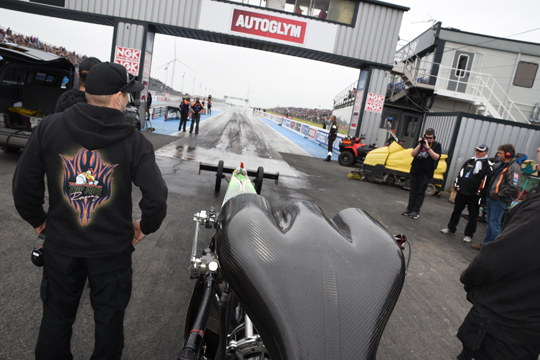 In Top Methanol Jonny Lagg is the leader after day one, while Michael Gullqvist stormed to a great 5.93 seconds to take the lead in Pro Modified. 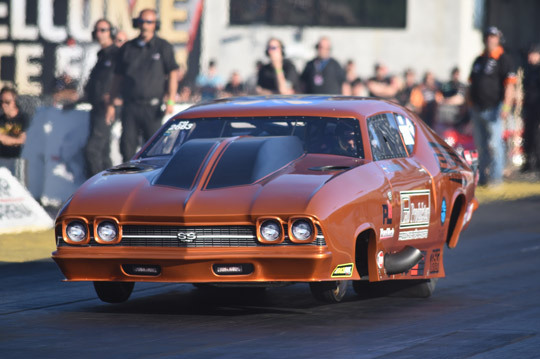 In Pro Stock reigning champion Bengt Ljungdahl claimed the provisional number one qualifying position. 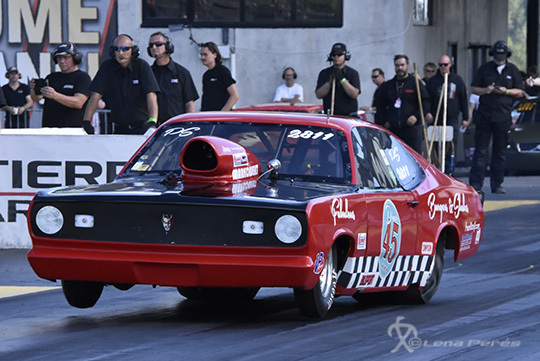 Tierp Internationals is up and running! 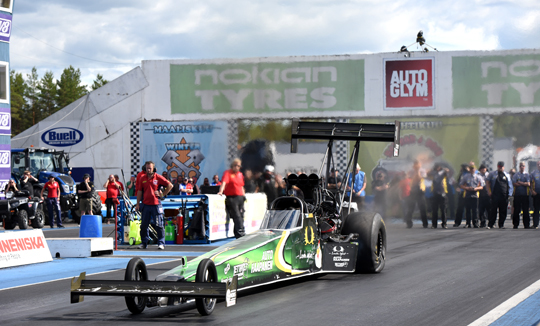 A great day with four rounds of sportsman racing at a sunny track.